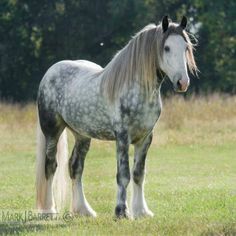 "Masters of the plains, rhy-horses look much like normal horses and have the same ranges of coloration, although pale and dappled hides and blue eyes are more common for them than mundane horses. one except a bonded companion to ride them. On rare occasions they will tolerate a trusted friend who is not their companion as a rider. They consider any other attempt to break them as mounts a form of slavery. Nations like Aldis and Rezea agree, but rhy-horses are sometimes enslaved in Kern. Jarzoni have little respect for the rights of rhy-horses but find breaking them more trouble than it’s worth, so they rarely even try." Ability Score Increase. Your Constitution score increases by 2 and your Strength score increases by 1. Age. Rhy-Horses mature faster than humans, reaching adulthood around age 3. They age noticeably faster and rarely live longer than 20 years. Size. Your size is Large. You have double the normal carrying capacity for a creature of your size and Strength. Hooves. You are proficient with your unarmed strikes, which deal 1d6 bludgeoning damage on a hit. Equine. You have proficiency in Athletics and Perception.